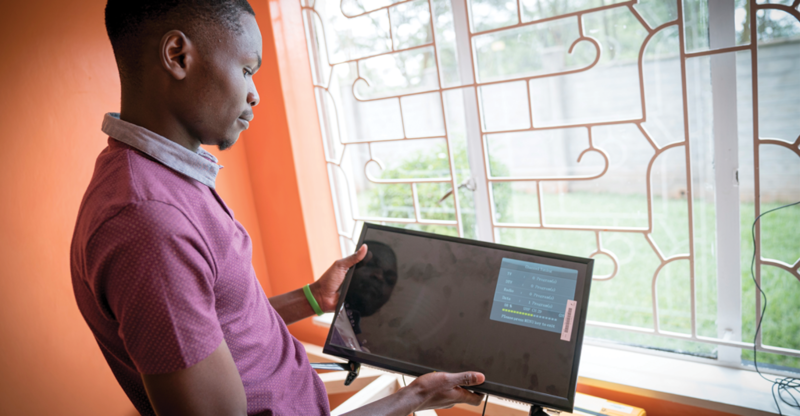 Angaza has partnered with four manufacturers to bring PAYG-enabled solar powered televisions to the homes of those living off the grid or with unreliable electricity. 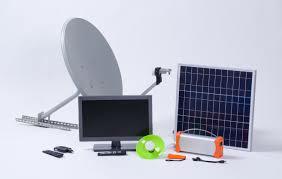 Angaza’s partnerships with Fosera, NIWA, Omnivoltaic, and Greenlight Planet enable distributors to offer their clients a variety of solar home system entertainment options. 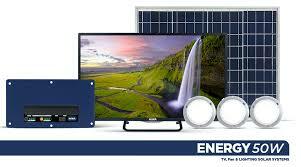 The Fosera solar powered television is an addition to the Fosera Power Line LSHS solar home system. This television was a Global LEAP Awards Finalist in 2017. Boasting a 24” 1080i or 1080p high-definition display, it can accommodate every modern entertainment need with an HDMI, AV (2x), USB, Audio In, Earphone Out, VGA, and RF inputs. It also comes with a remote control, USB media player, and PC display capability to watch your favorite shows and movies. This television comes with a one-year warranty, plus the compatibility to power additional accessories: tube lamp, overhead lamp, and radio. 12V supply voltage and 12W power consumption. Niwa’s 32”, 24”, 16″ Satellite TVs have been winner of the prestigious Global LEAP Awards in 2017 and 2016; making these some of the best in the world according to quality, durability, lowest possible power consumption, and affordability. Coming with an integrated triple tuner they support reception via Satellite (DVB-S2) and digital terrestrial signal (DVB-T2), which is ideal for rural country reception. The systems includes three 300 Lumen lamps for multiple-room lighting and support optionally up to 20x lamps. 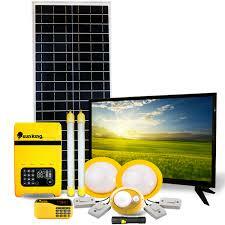 All Niwa products come with a two year warranty for the systems and 10 years for the solar panels. 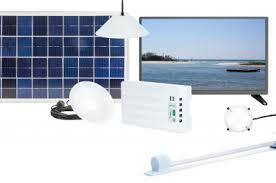 The 19” HDTV package is powered by ovCAMP DC12V solar energy hub. It includes a high-resolution DC TV monitor featuring ultra-low power consumption, a host of media input options and built-in T2/S2 tuner. This solar powered television offers numerous media features including HDMI, AV, USB, VGA, Audio In, Earphone, RF, Remote control, and PC display, with an energy hub capable of powering an overhead lamp, fan, or USB charging bank. Watch satellite feeds, local broadcasts, or your own media files, for up 8 hours a day. The sunking Home 400 is a complete home kit which includes two tube lamps, two overhead lamps, one torch, a radio, and motion activated security light with a two-year warranty. The solar powered television, a new release in 2018, offers an 19” 1080i high-definition display with all the bells and whistles for your media needs: HDMI, AV, USB, Earphone, RF, Remote control, and USB media player. 12V supply voltage and 8W power consumption.